What if you were to discover some new ways that will steadily awaken your natural hidden fat burning machinery to slim you down and tone you up far easier that you ever thought possible? A weight loss system that becomes so automatic, that you cannot fail to get results? You just might be thinking that it sounds too good to be true. And, you could not be blamed for thinking this way after all, literally hundreds of weight loss/diet programs of one sort or another are available. You probably have tried some of them, and more than likely they probably did not produce the results you would have liked them to. For decades so called ‘experts’ have told us that if we are overweight we should go on a diet to lose the excess fat. 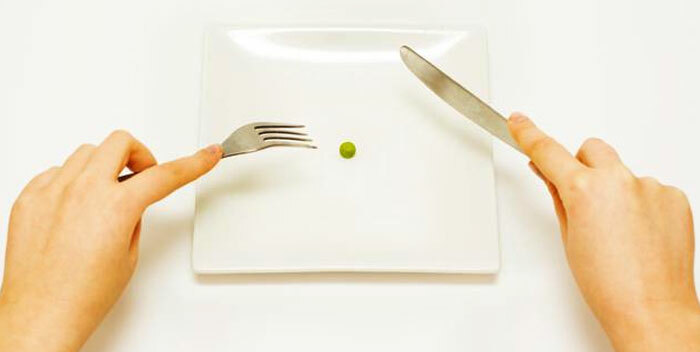 But we now know that food restriction is the very worst thing you can do if you wish to lose weight. Our bodies are programmed to hold onto fat not lose it. This dates back to the time of our ancestors who frequently spent days or weeks without adequate food when hunting was poor or in winter when food was scarce. So the body got used to storing fat for these lean times to save itself from starving. Go on a diet – any diet – and it won’t be long before your body starts to fight you for every ounce of your body fat as it wants to keep you alive. You want to lose it, it wants to keep it and it will win every time. To win this battle against your body you have to get strategic and trick your body into thinking you aren’t dieting when you actually are. The main objective is to block the body from going into ‘starvation mode’ and keep fat burning at its highest point, day after day, week after week. First eat 5-6 small meals every 2-3 hours throughout the day. Each of these meals should contain 20-30 grams of protein and the balance made up of raw or cooked vegetables and a small amount of complex carbohydrate. The other important part of the strategy is to perform a specific exercise program that contains at least 60% strength training exercise. This will rebuild lost muscle tissue to keep your metabolism (your body’s engine) running hot. This will allow your body to burn off the excess fat every minute of the day even when you are resting or sleeping. No other activity will give you this metabolism boost, so forget about long, slow, boring out dated activity that most people believe would make us lose weight like walking, jogging or cycling This type of activity is as ineffective as dieting for obtaining a strong, lean, healthy, fit body. Better ways now to achieve your fitness and weight loss goals and one of them is our Interval Training. Short bursts of all out activity for seconds following by seconds to one minute of slower activity. For example 10 seconds of sprinting followed by one minute of walking. Repeat these ‘intervals’ 6-12 times once or twice a week for the ultimate fat blasting, anti aging, feel good activity. The combination of our exercise program and meal eating plan works with your body not against it as the old ways did. Instead of destroying your metabolism as dieting did the new ways protect it so weight stays lost. We must acknowledge that we have a master system, a complete blueprint for optimal activity and nutrition and we are designed to be strong, lean, energetic and fit. If we respect and work with this system we can make steady, consistent progress to our fitness goals.